Florida is more than Mickey Mouse, sunshine, and orange juice. It's also good for buying, starting, and building a Florida business. In 2013, Florida was named one of the top 10 states in the country for startups, according to the U.S. Chamber of Commerce. Florida Business Brokers have also recognized some healthy trends and a growing number of business transactions in 2013. Buying a business in Florida is an easy decision once you look at the facts. Owning a business is one thing. Being able to run it successfully is quite another. Business owners of educated workforce. Florida is ranked fourth in the country for its number of top 100 high schools as well as the number of adults over the age of 25 with a bachelor's degree. The opportunity for higher education abounds in Florida with a college, university, or other higher learning institution located within 50 miles of every Floridian. Thanks to the quality of education and the number of opportunities, business owners have a rich pool of potential employees to choose from in the hiring process. With an estimated population of just over 19.5 million, Florida continues to grow. Ranked fourth in the United States for population as well as fourth for its total civilian labor force, business owners have the potential for a larger than normal customer base. 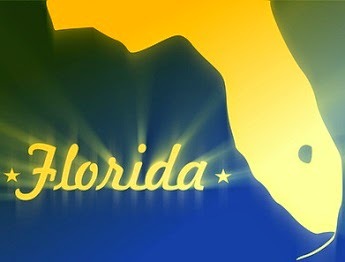 Currently, Florida's growth rate is around 1.36 percent, making it seventh in the country for growth. While exact numbers have ebbed and flowed, Florida has grown in population every year since the state was founded. Florida's climate is a big driver of migration to the state as well as the driving force behind the tourism industry. More than 95 million people visit the state each year because of the weather, the attractions, and to visit family. Florida is one of the few places in the country where the climate is temperate throughout much of the year for the vast majority of the state, which is excellent for business. Clocking more than 200 days of sunshine a year, it's little wonder that Florida attracts visitors and new residents. The constant stream of people coming to soak up the Florida sun can keep business booming all year long. Florida is ranked the number one business tax climate in the southeast. With a state government dedicated to drawing commerce to the state and a lack of state income tax, Florida is an attractive option for anyone considering buying or starting a business. There are plenty of other tax advantages for business owners such as no corporate income tax for limited partnerships and subchapter S-corporations, no state property tax, and no property tax for inventories. Exemptions are available as well for a new or expanding business's machinery and equipment as well as the labor and materials needed for repairs. The Florida Legislature consistently seeks to keep business taxes and regulations favorable in an effort to attract more companies and entrepreneurs. Find a Florida business for sale and take advantage of all that Florida offers entrepreneurs, businesses, and citizens. An educated workforce, a large customer base, beautiful weather, and a favorable business tax climate all make Florida an attractive place to buy and build a company. Florida business brokers can help you find exactly what you're looking for in the Sunshine State.